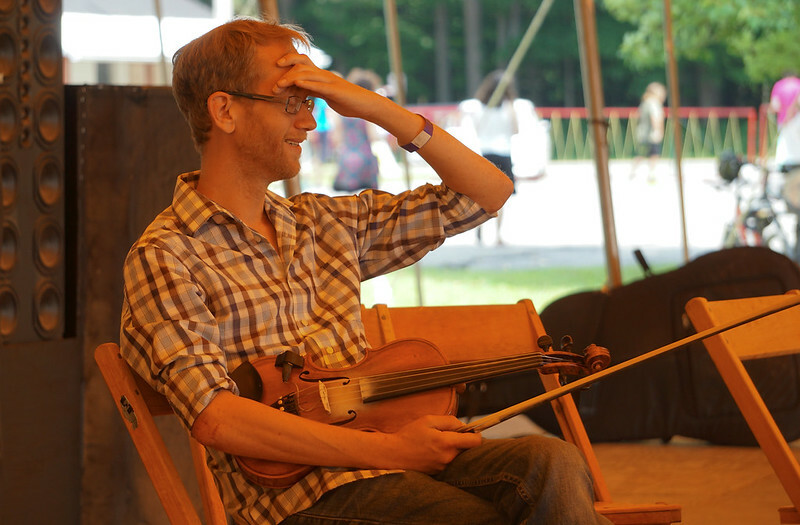 Although thousands of people will enter and exit the Trumansburg Fairgrounds for this weekend’s 27th Annual Finger Lakes GrassRoots Festival of Music and Dance, Culture Camp provides guests with a more intimate musical experience. This workshop series runs from July 16 to July 19. This year marked the start of GrassRoot’s second annual Culture Camp. Culture Camp attendees have the opportunity to take music and art workshops with the some of the same artists who are staples to the GrassRoots music scene. These photos are from day 2 of the Culture Camp workshops.